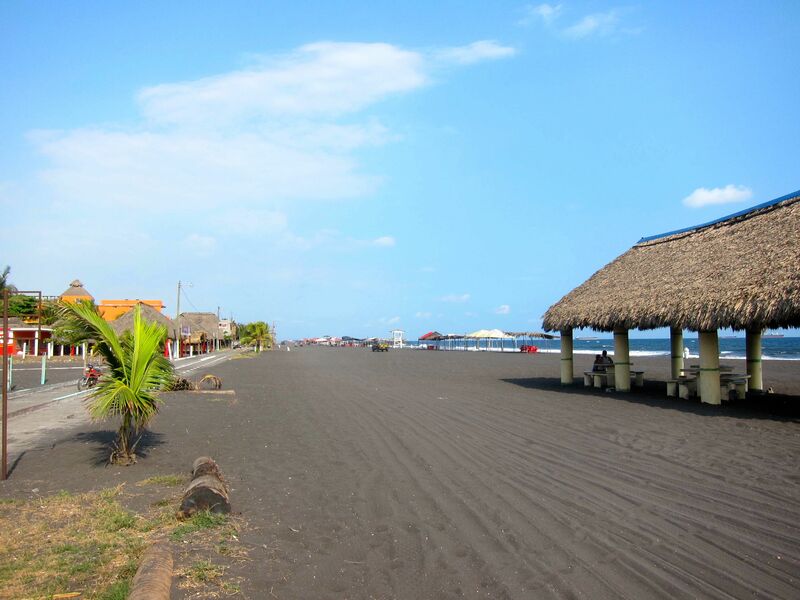 I’m beginning this post overlooking a black sand beach and a decent Pacific break in Guatemala. 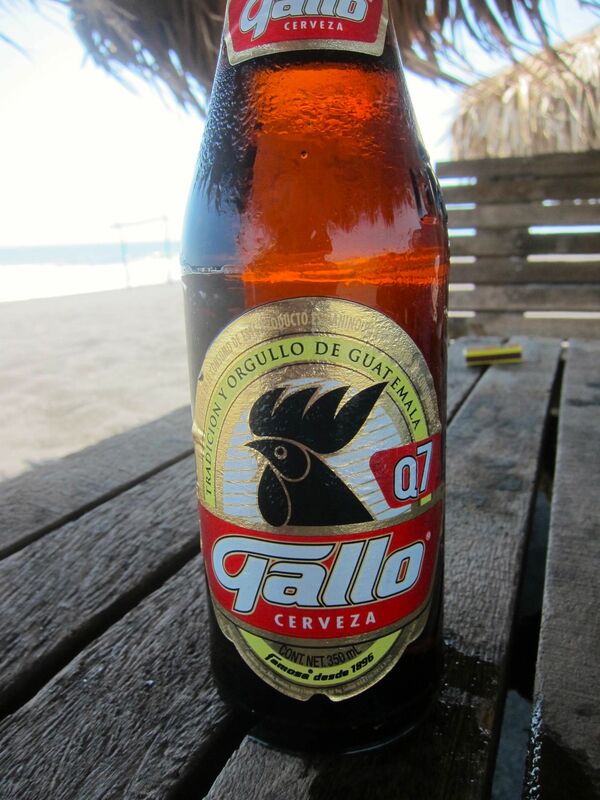 This is the last stop before we head north to Mexico and out of Central America. I have really enjoyed our stops in Panama, Costa Rica, Nicaragua, and Guatemala. Admittedly, I have a greater appetite for hair-raising cab rides, local beers, and pigeon spanish conversations that go nowhere than most but I keep hearing people say there is nothing here and I completely disagree. It just takes a little persistence. That being said, it’s tough to talk about some of these places without sounding condescending or over-privledged and uninitiated. I keep hearing people describe areas as ‘rustic, ‘simple,’ and ‘undeveloped.’ I know these people are just trying to be PC but it seems a little funny because i’m sure these traits are the same virtues they would extoll about Amish country or Tuscany. Let’s call a spade a spade, these places are poor, dirt poor. People are often living quite literally in the dirt. Life is hard and cheap for many at this latitude. These are facts. This post isn’t meant to be a downer or make anyone reevaluate their life choices. Far from it. I just want to disprove some of the negative things people say about these locations and a little background info seemed relevant. 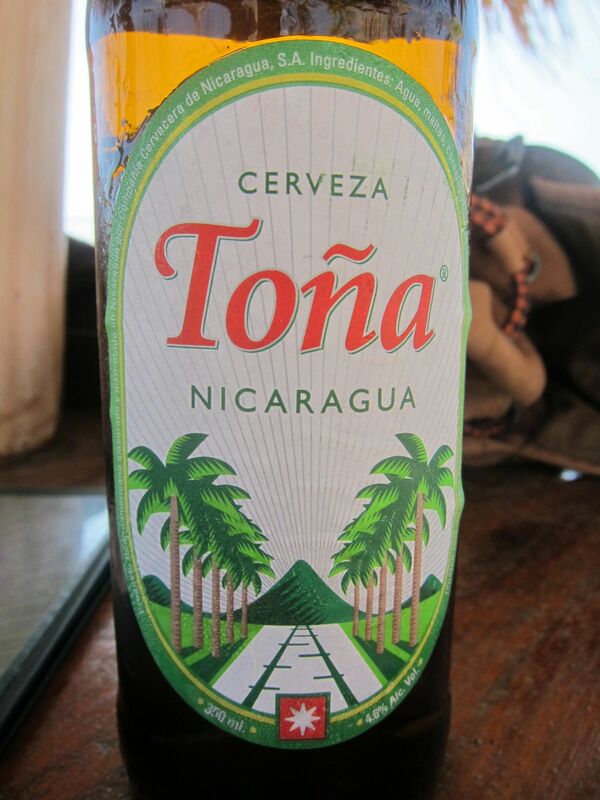 When we arrived in Nicaragua, the view from the open deck did not look encouraging. We docked at an industrial port, as we often do. The view beyond the containers didn’t provide many clues as to what was out there. Everyone was saying it was very dangerous and making jokes about knife fights and three-legged dogs. Others were saying that you would get sick if you ate any food anywhere. (A few days later I’m still feeling fine. I’ll stick with Anthony Bourdain’s mantra that you are far more likely to get sick from the chaffing tray of eggs in your hotel than you are from locally prepared food.) Anyway, the prospects did not look good. 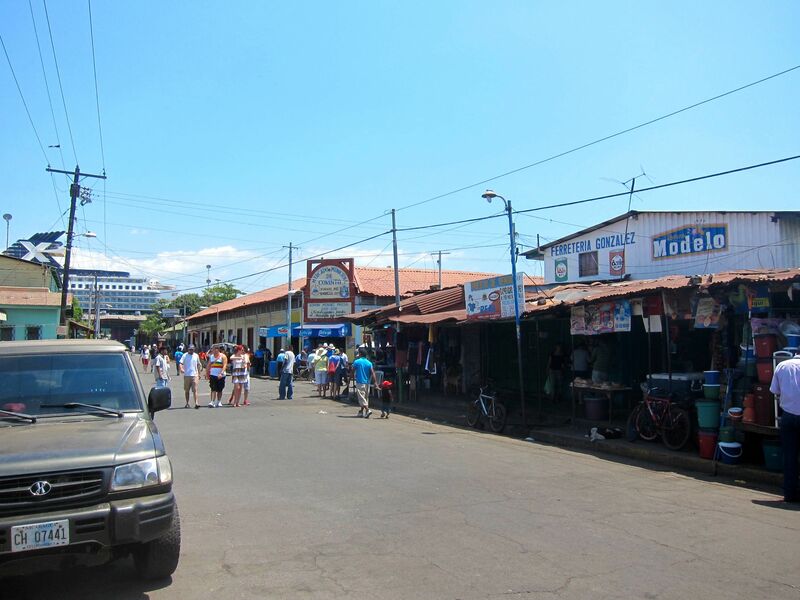 After a short walk out of the port we encountered the city of Puerto Corinto. It’s not much of a town in terms of size. There are a lot of people riding bicycles and selling handicrafts to tourists. There were some restaurants, none of which looked very interesting. There really wasn’t a lot going on in the town. Also, it is oppressively hot and dusty. We were faced with a decision, turn back for AC, a nap, and buffet food onboard or roll the dice and try to find something interesting. We had heard of a beach that was supposedly nice and not far away so we hired a teenager on a bicycle to ride us there. This interaction was a great example of what is often very frustrating about Central America. There are many guys trying to take you to different places, with the strategy for attracting customers being ‘be the loudest, and get right in their face.’ If that doesn’t work, just grab a potential customer’s arm and pull him or her toward your bicycle while screaming ‘beach, beach, 5 dollar.’ The first guy offered to take us for $5 a piece. Then another guy came over and offered to take us for $2 each. You can see where this is going. Eventually we left with the third guy for $1 a piece. It’s hard not to feel bad for these guys, in a way they are their own enemies. If they would just agree that they wouldn’t take anyone for less than $5 they would all be better off. 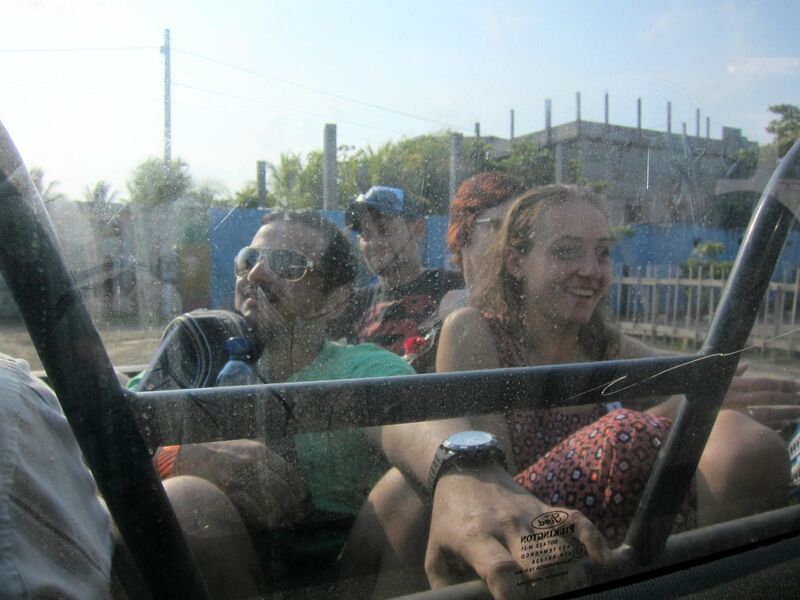 Anyway, our guy rode us through some pretty sketchy neighborhoods, all the while chatting away in Spanish. I told him that I am a musician and that I play the saxophone, (one of the very few things I know how to say) and we chatted at length about whether the saxophone is difficile or facile to learn. Eventually we arrived at this place that was called a beach, but was more or less just a place where you could get to the water. There was a great restaurant right on the water, however. The view was killer, a nice breeze kept the sweat in check, and the food was slamming. We had garlic shrimps, which I think were the largest shrimps I have seen in my life, salad, fries, and plenty of local beers. The beers also might have been the coldest in the world. They were literally frozen. 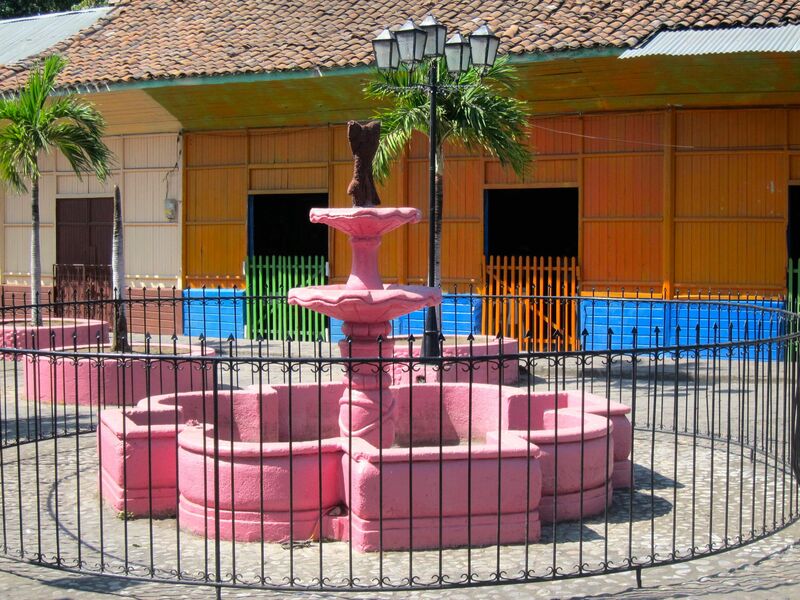 One of the things that I love about Central America is the paint. Everything is joyfully slapped with thick coatings of cheap, boldly-colored paint. It’s totally normal to paint your house pink or bright orange. 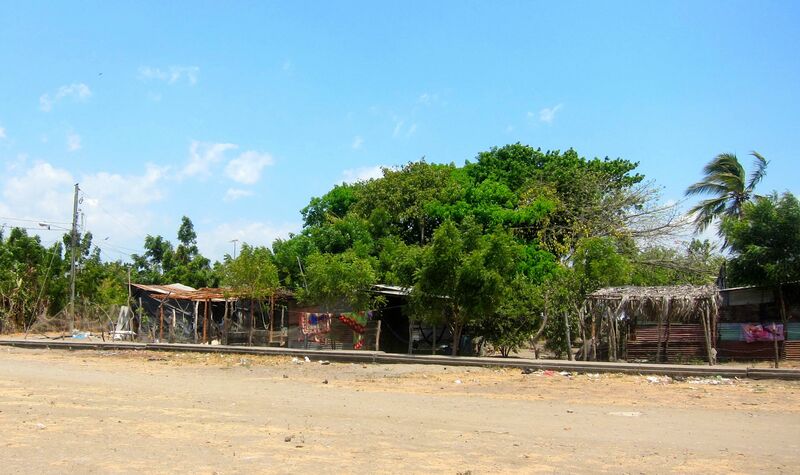 In Guatemala, we visited Puerto Quetzal. 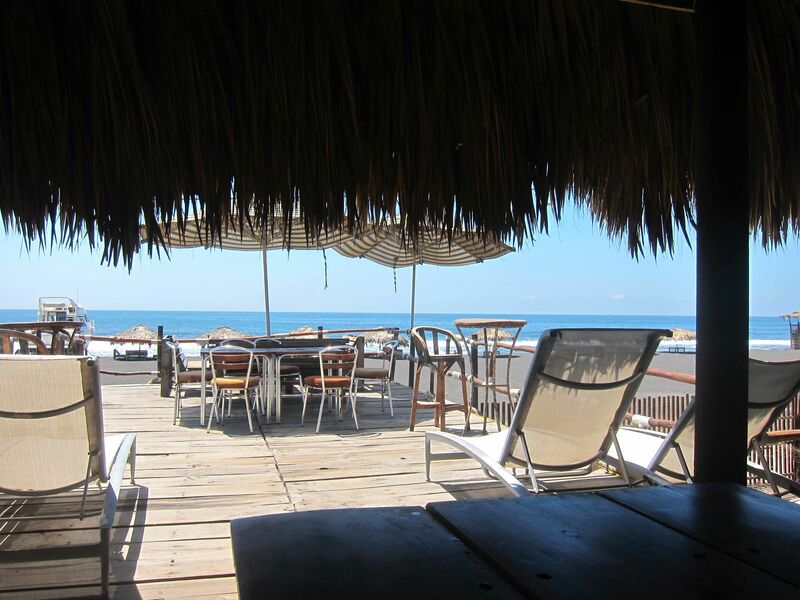 There is a beach club sort of place called Nautilus. We took a ride in a van, crammed with 14 people to get there. On the way, we traveled through some aggressively poor areas. Motorbikes zipped by on both sides of the van and we passed many stores that were guarded by teenagers with shotguns at the entrance. 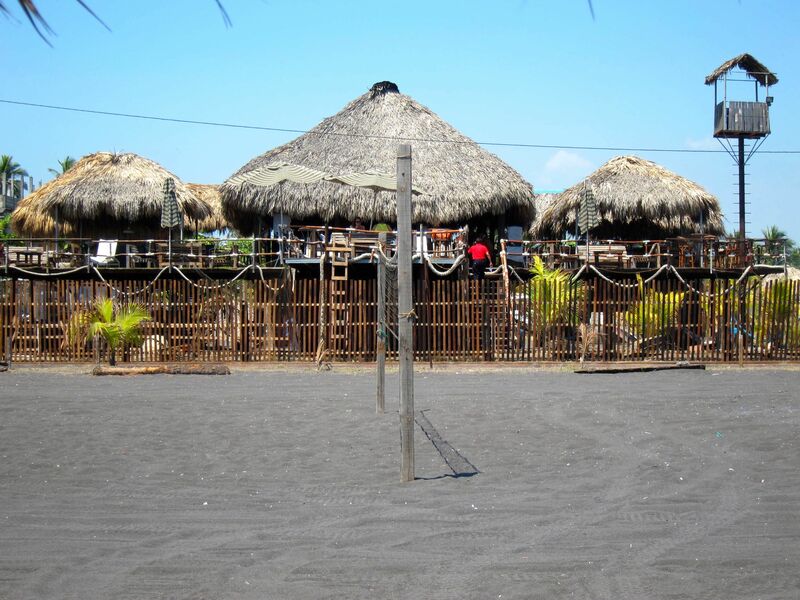 Nautilus itself is right on the beach, which is black sand. The water is very warm and there are pretty big waves. After being in the Caribbean for so long, it was nice to be swimming in the OCEAN! 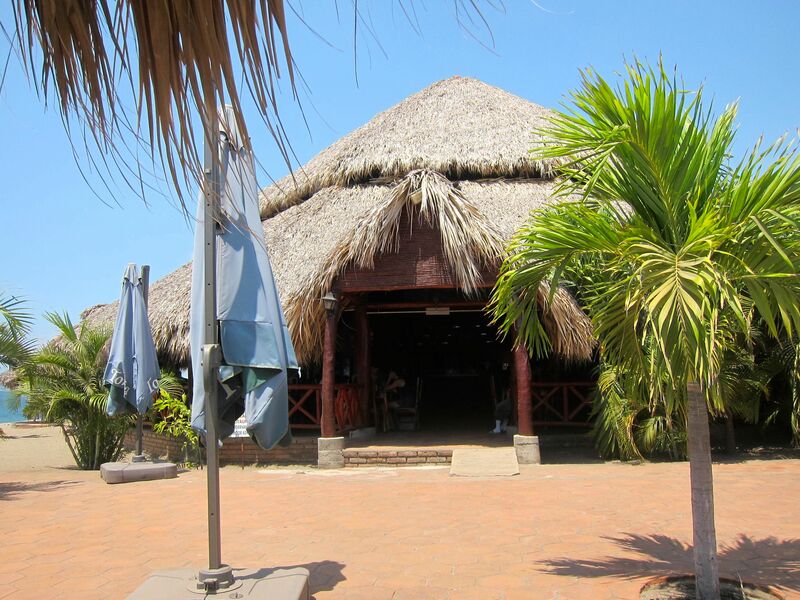 The bar and restaurant part is built up on stilts and has a thatched roof. 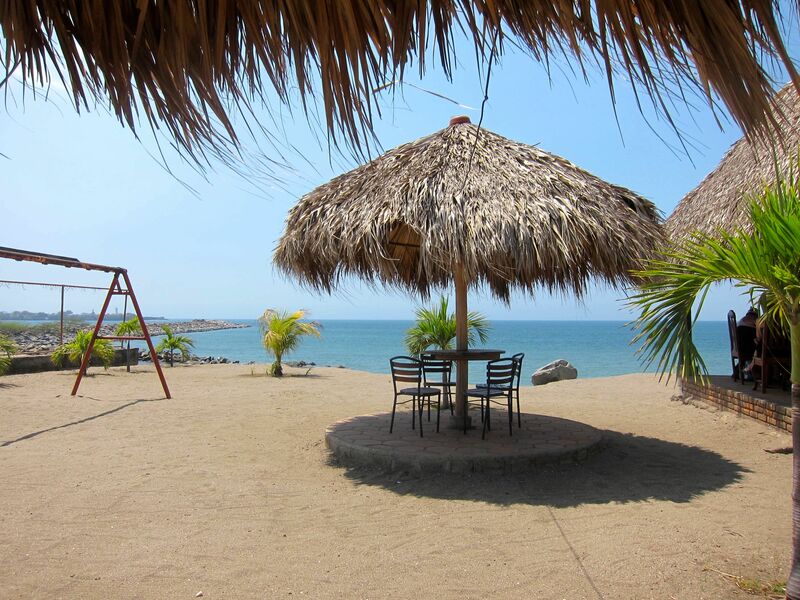 It’s a pretty nice shady spot with a killer view of the beach. There are several different entrance options for the club. I chose the option of a bucket of beers and a plate of fried fish. All the entrance packages include free wifi, at least until enough people get there and the network crashes, and use of the thatched umbrellas and chairs. 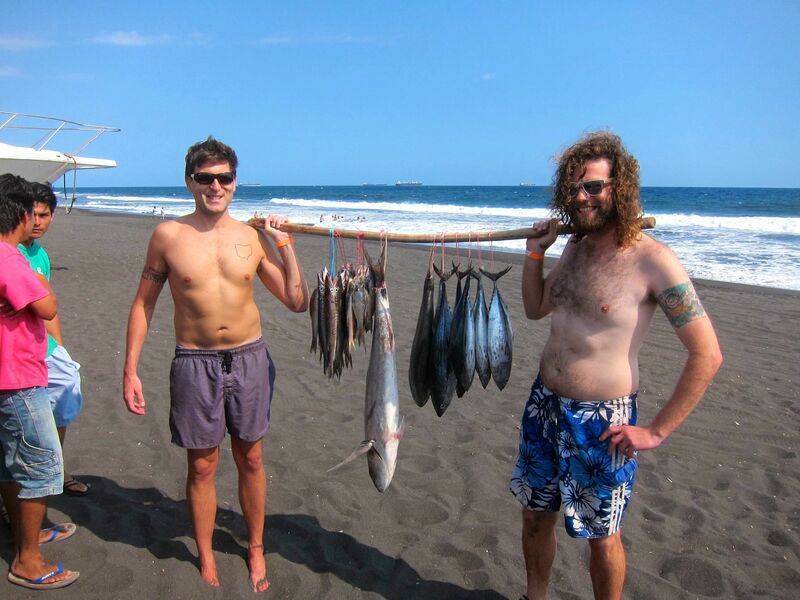 Greg, the guitarist from the orchestra and I caught all of these fish. When it was time to go, we gathered in the parking lot to wait for our prearranged van ride. Instead of a van coming to pick us up, a pickup truck showed up. Some people rode in back, which is apparently fine in Guatemala. All in all it was a really great day. 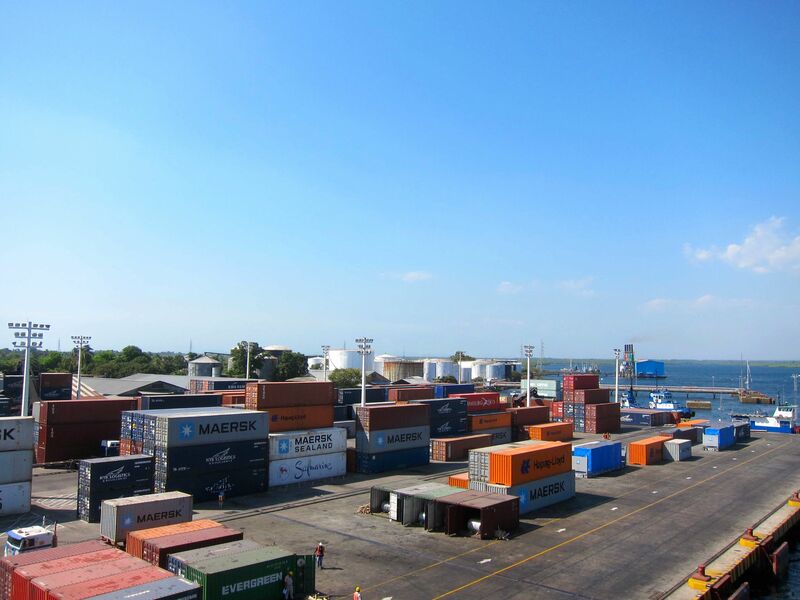 We could have stayed in the port area, which was super clean and safe, but I don’t think that would have been a very authentic experience. 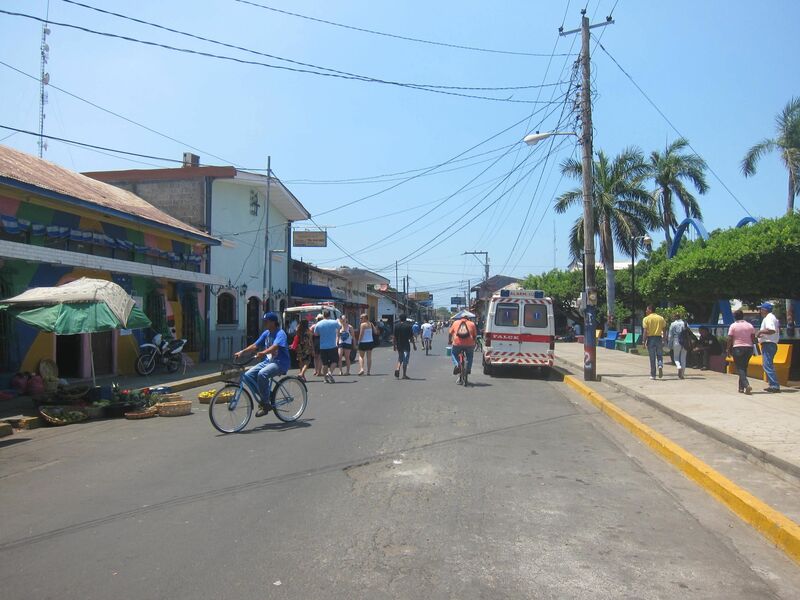 Everywhere we went in Central America was very open and friendly. There are definitely some areas that I would avoid, but then again, there would really be no reason for me to be there. There are many cool things to do in these countries, it just takes a little persistence.